How many suitcases can I take with me? One or two suitcases per passenger. Yes, it must be protected and wrapped. You must check it in at the bus station in Vigo. Yes, but they need to travel inside their travelling case. And they will be placed in the storage area of the bus. Where is the departure point in Vigo? Are there more bus stops in Vigo? The bus departs from the Bus Station in Vigo, stop n. 3. That is the only bus stop in Vigo. Can I get on and off the bus at a bus stop other than the one shown in my ticket? You must get on and off the bus at the stop shown in your bus ticket. Where do I take the bus at the airport? The bus stop is at the arrivals floor. Go out of the building and you will find it on the right-hand side. You must follow the signs to "Bus Galicia". Where is the bus stop, in case the bus station is closed? At the main entrance of the bus station. How much is the Vigo-Porto ticket? One-way ticket is 12 Euro. Return ticket is 18 Euro. 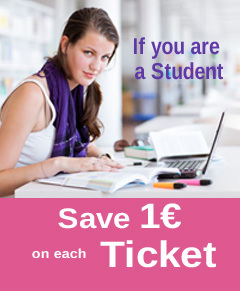 You can buy it at our website http://ventas.autna.com/billetes/comprar, in the authorised points of sale or in the bus. You must pay via bank card. Visa or MasterCard. Do I get discounts if I have a Youth Card? There are discounts for those under 26 and those over 65. If I buy a ticket on the website … How do I get the ticket? You can print your ticket directly at that time or you can receive it via email. Do I have to show my ticket at the bus? Yes, you must show the ticket at the bus. In the case of an online ticket, you can show your ID or passport. Do babies pay a ticket? Yes, they pay the under-12 fare. Can I cancel the ticket? Do I get a refund? The tickets cannot be cancelled and no refunds are given. You can modify the date and time, provided you have an open ticket. Yes, in the "Manage Tickets" section of our website, provided you have an open ticket. If my flight is delayed … Can I take the following bus? Yes, provided you change the ticket on the website or in the "Manage Tickets" section. But you must have an open ticket. If I want a return ticket … Can I buy an open return ticket? No, tickets must have a fixed day and time, unless it is an open ticket. Is there a different timetable for summer and winter? 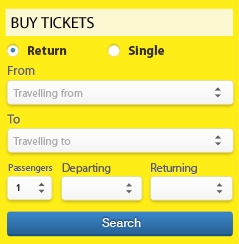 In our website you can see the various timetables, both for summer and winter. The departure time from Porto, is it shown in Portuguese local time? Yes, all departures and arrivals from Portugal are shown in Portuguese local time. How long is the trip Vigo-Porto and Porto-Vigo? The trip to the airport in Porto is 1 hour 45 minutes. To the centre of Porto is 2 hours and a half. Same applies on the trip from Porto to Vigo. Do I need to change buses if I go to Lisbon? How long does the Vigo-Lisbon trip take? Yes, you need to get off at Rua Restauracao (Renex) bus stop and change buses. The trip takes about 7 hours.